by accelerating or decelerating into the ball. That’s a tough task and just adds to the challenge of the shot. It’s very difficult to be precise. 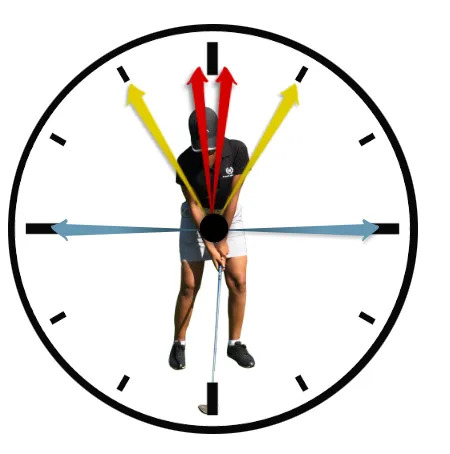 using the clock face theory 9-3,11-1 and full swing. Now you should create a wedge chart. 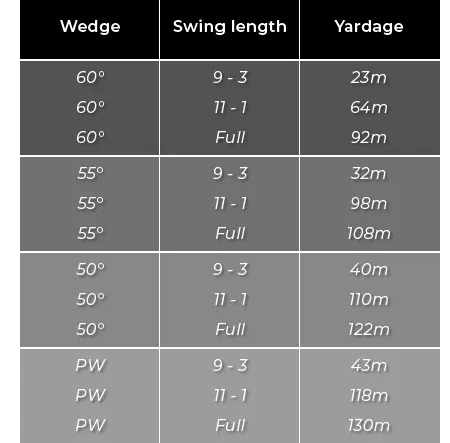 wedge travels depending on the length of your swing. Integrating a 9-3 and 11-1 swing into your wedge game is critical to ensure you are never between clubs again. You will be shocked by the consistency and confidence you gain. It only takes one lesson.